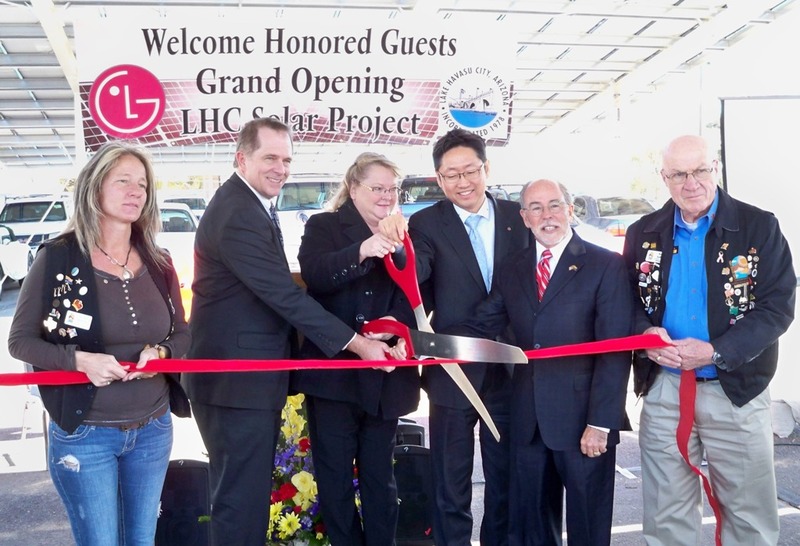 The Lake Havasu Area Chamber Ambassadors held a ribbon cutting ceremony celebrating the grand opening of the LHC Solar Project. In attendance for the ceremony were LG, International, the financial backers of the project, subcontractors and city officials including Mayor Mark Nexsen. 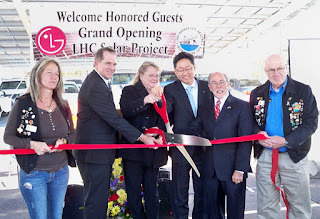 The ceremony was held at the City Hall parking lot under the shade of the new panels.